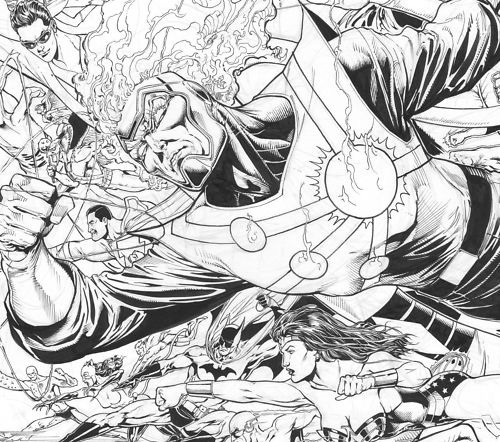 Ethan Van Sciver sketched and inked the drawing below of Firestorm and the JLA while stuck in the Dallas airport last month. Another gentleman named Moose did an amazing job coloring the piece. I gotta say Firestorm fans, this is one of the most gorgeous pieces of Firestorm artwork I’ve ever seen! Click the image below to enlarge. Here is a close-up of the original pencil and ink that sold on eBay for $680! 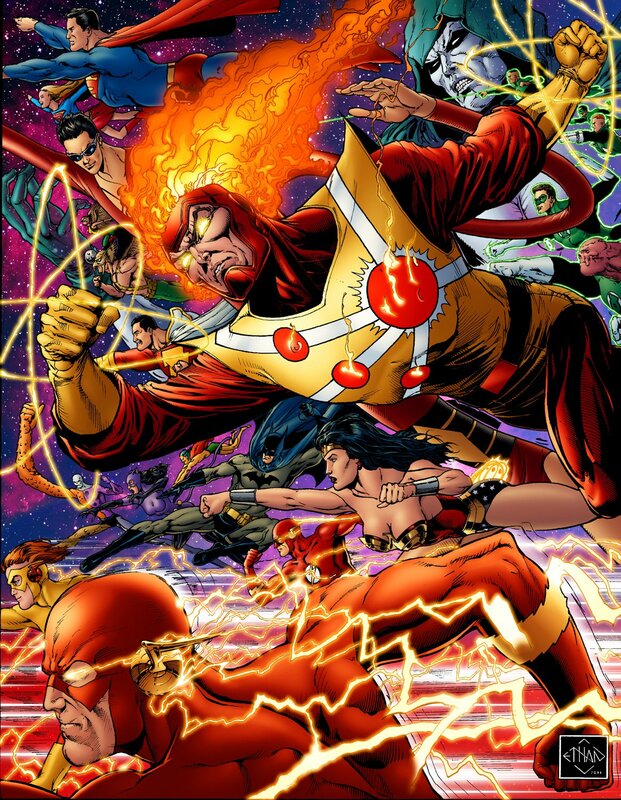 If you’d like a print of this awesome Firestorm and JLA piece, you can order one for $20. The print is oversized (13″x19″) and comes on archival paper with archival inks. That price includes shipping in the continental United States. For details, e-mail the colorist Moose at moosebaumann@mediacombb.net. Moose is fully endorsed by Ethan Van Sciver. For more of Moose’s work, please click here. 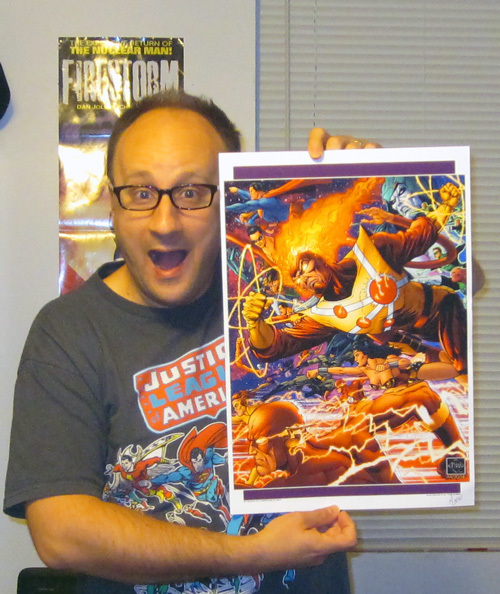 Here is a goofy snapshot of me once my print came in! It’s so gorgeous, I’ll probably end up framing the piece! My thanks to Rizzope (Jason), Keith Baker, and Eric Sellers for notifying me about this gorgeous drawing! Posted in: Ethan Van Sciver, Firestorm #01: Original (Ronnie/Martin), Justice League of America, Sketch/Art. Great looking work by a star colorist! Color is beautiful but I’m not too big on the art. Firestorm looks like an angry villain in this sketch. Awesome piece. Interesting that some characters in the piece are “old-school” versions (like Firestorm), but the rest are modern. Catwoman and Wonder Woman are both in older costumes that I vastly prefer to their current gear. wow looks amazing. just ordered mine cant wait to get it! not crazy about the purple bits but the frame will cover that! Wow! I have always loved Moose’s work! And you’re right, it needs to be framed! I’ve got this set as my wallpaper on my laptop. Firestorm looks beautiful!